The reason why a PC is called a Personal Computer is because it contains sensitive, private message which needs to be protected. Although, in today’s world of technology, protection of sensitive data is ensured, we sometimes feel the need to lock our desktop screens immediately. Love letters or Industrial secrets, sometimes we all come across situations where we have to lock our computer screen immediately to preserve such sensitive information. If you do have such confidential information which you do not wish to share with anybody, you must definitely set a password for your Mac desktop. This password will be useful for you when you wake up your sleeping Mac, after taking a break from your work. 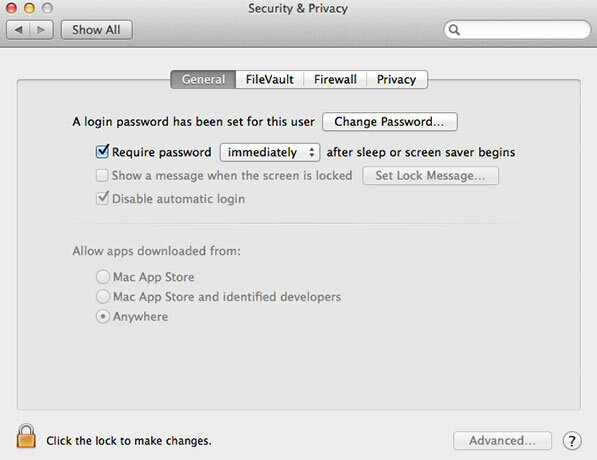 To set a password, first you need to open the System Preferences option. After choosing the option, go to the Security Pane and then select the Require Password. The most easiest way to protect your confidential documents while you are away from your computer is to hit the Shift + Q. By hitting the combination of Shift and Q buttons the computer will quickly log out of your user. The computer screen will display the initial login screen, which will ask you for your password. However, there are always two sides to a coin. On choosing to log out of your user, you will lose all your unsaved documents which were running on the screen prior to the logout. Further, all the applications, documents, and files which were left open before you chose to logout, will automatically close. The other way of preserving your private documents is to just put your computer to sleep. In order to do so, you will have to go to the Apple Menu, where you can select the Sleep option. In case if you are using a laptop, you could press the power button. On pressing the power button, a pop-up dialog box will appear on the screen, from where you could select the Sleep option. However, this method to preserve your information is quite slow and lengthy. However, a considerably faster method to lock your Mac and to preserve your running, unsaved documents is to use your Hot Corner. All you need to do is activate the screen saver. In order to accomplish this task, all you need to do is select the Desktop and Screen Saver System Preferences panel. On opening it you can activate the Screen Saver tab. After doing so simply click the Hot Corners button. Now, all you need to do is decide where or which corner of the screen you want to use, then click the corresponding pop-up menu. From the list, select the Start Screen Saver. So when you wish to take a break from work, or you are compelled to attend to some other work, all you need to do is move your mouse to the chosen corner of the screen, which will trigger to activate the screen saver immediately. Another technique to lock your screen instantly using your keyboard is done by launching the Automator. In order to use this technique you need to follow a few simple steps, which are as follows. Firstly, you need to launch the Automator present in the Application folder. Now, you can go to File, and save it. You can use “Lock Screen” for a name to save the file. After saving it, you can exit the Automator. 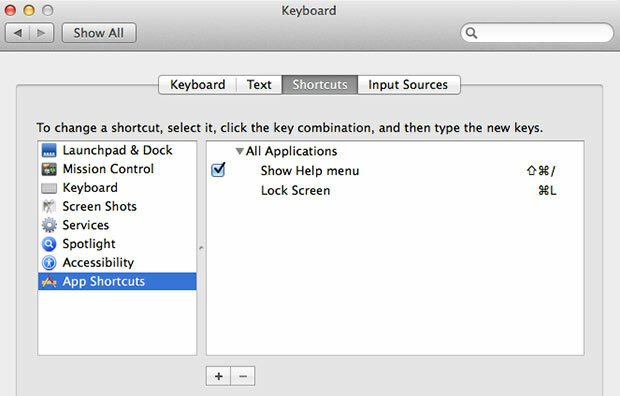 To operate the lock screen through your keyboard, all you need to do is launch System Preferences and select Keyboard Pane. You can choose the “Keyboard Shortcuts” tab and from the list that appears on the left side of the screen you can select the “Application Shortcuts” option. Now click on the + button which appears at the bottom and add your new shortcut. From the dialog box, enter the “Lock Screen” or whatever you have chosen to name the Automator service. Preserving your information has never been easier. Just swing your mouse and your Mac will lock up saving all your confidential data.